Two recent articles piqued our interest on where skyscrapers—an important part of Dallas' history— fit into the city's present and future. The skyline of Dallas has been the symbol of a city on the rise since its first so-called skyscraper, the Praetorian Building at Main and Stone streets, was constructed in 1909. As the city grew and the definition of skyscrapers changed, Big D built on its reputation for big towers reaching ever higher into the even bigger North Texas sky. Two recent reports got us thinking: Are skyscrapers still a force in Dallas’ present and its future? 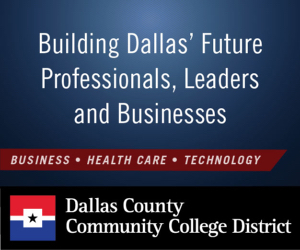 In a new article comparing skyscraper construction now to its boom days of the ’80s, CommercialCafé reported that Dallas is one of 18 cities that boast at least five skyscrapers — buildings with at least 40 stories and at least 500 feet in height. Of the 16 Dallas skyscrapers CommercialCafé credits in the current skyline, the 921-foot, 72-story Bank of America Plaza is the tallest. Over the years, new skyscrapers have added to Dallas’ image as a robust hub for business and aesthetically compelling buildings. In 2014, readers of USA Today voted Dallas as the Best International Skyline. Construction of new towering buildings slowed in recent decades from is heyday in the 1980s when 10 of the city’s tallest buildings were built, CommercialCafé said. 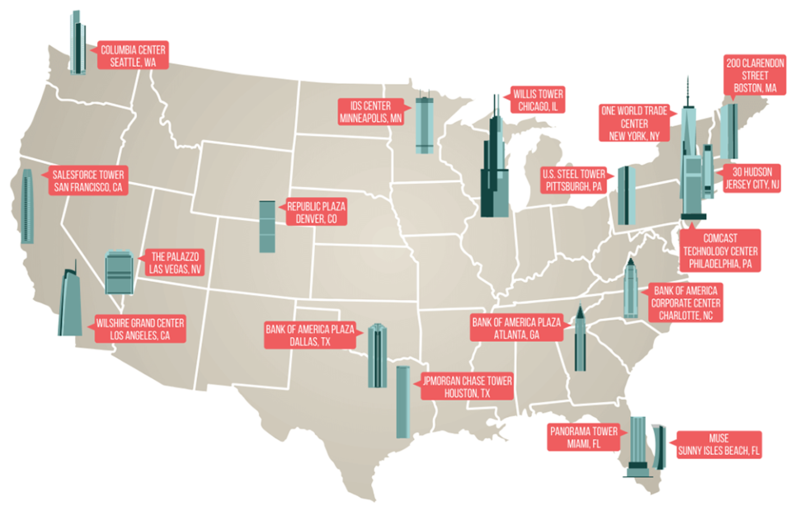 The publication said that the 560-foot, 42-story residential Museum Tower was the last skyscraper to open since 2000. It opened in 2013. 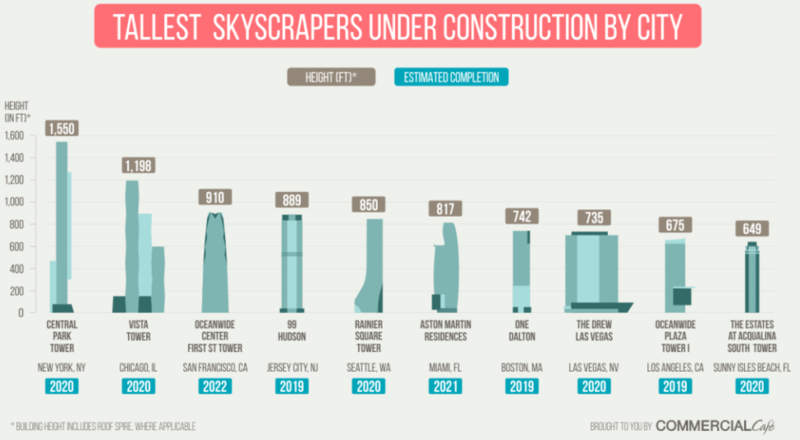 But, CommercialCafé’s chart (below) on the tallest buildings under construction by city is a little short—562 feet short, to be exact. AMLI Fountain Place tower in downtown Dallas was begun in September 2017, and it will be a 562-foot, 46-story building nestled next to the recently renovated 720-foot, 62-story Fountain Place tower on Ross Avenue downtown. It should be completed in 2019. And, there may be another towering building on the horizon. The Dallas Morning News has reported that a new skyscraper might be in line for the CityPlace development along Central Expressway—if plans being pitched by property owner CityPlace Co. are realized. The planned tower on a 2.5-acre site originally was earmarked for a 42-story building in the 1980s as a twin for the landmark CityPlace Tower that recently changed hands in a major acquisition. The second edifice was never constructed, the Morning News said. Highland Capital Management recently bought the 1.4 million-square-foot CityPlace Tower, the tallest building in Dallas outside the urban core. CityPlace Co. has asked the city of Dallas to approve construction of a project that is larger than the current zoning allows, the Morning News reported. He said the new building mostly would be office space. It would be a robust addition to a city with a long legacy in skyscraper lore. While many consider the long-demolished 15-story, 190-foot Praetorian Building as the first skyscraper in Big D, CommercialCafé credits the former Southland Life Insurance Co. building as the first modern skyscraper in the city when it opened in 1959. Decades later, the 42-story Southland building, part of a three-building complex, became the Adams Mark Hotel and now is the Sheraton Dallas Hotel. Should CityPlace Co.’s plans for a new tower come to fruition, it will be another sign that skyscrapers are still viable in this market, and that things (and people) are looking up.